You select this weapon's element when crafting or trading for it. 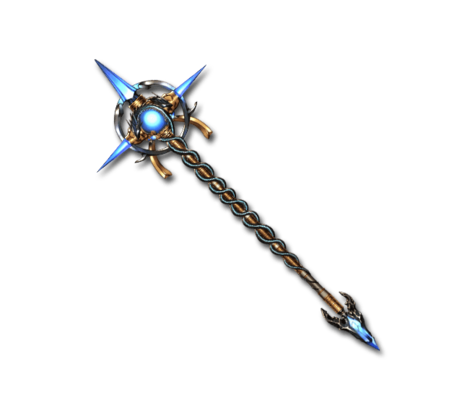 A divine staff used by clergymen to preach the word of the gods. The intertwining twin snakes make for a wonderful guide, incessantly singing the praises of its wielder. The caduceus is the staff carried by Hermes Trismegistus in Greco-Egyptian mythology and Hermes in Greek mythology. This page was last modified on 5 November 2018, at 10:44.